The <section> tag used to represent the grouping of content typically with a heading. <section> tag supports Global Attributes and Event Attributes. <section> tag belongs to Flow content, sectioning and palpable content. 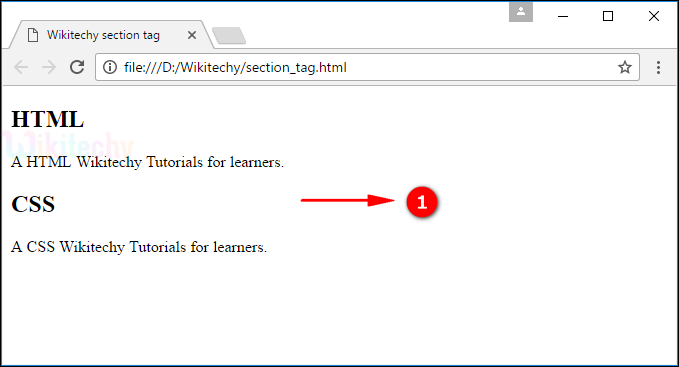 HTML 4 does not support <section> tag. 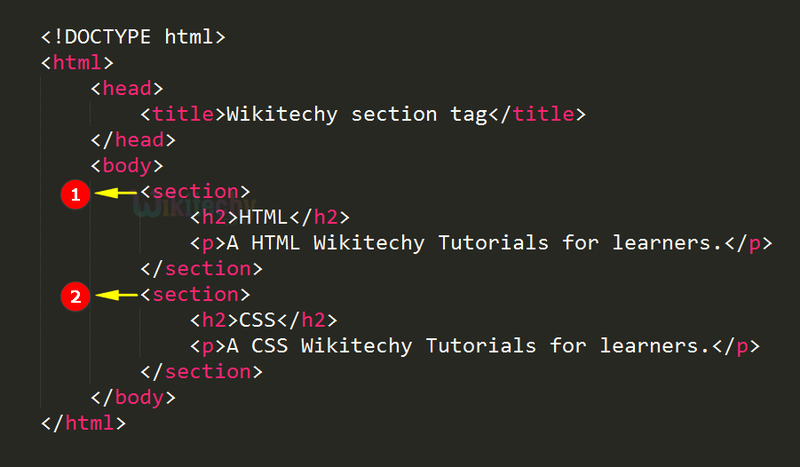 <section> tag is new in HTML 5. First section used to group the contents as HTML and its description in a section. Second section used to group the contents as CSS and its description in the second section. The output shows HTML and CSS both contents in two different sections.